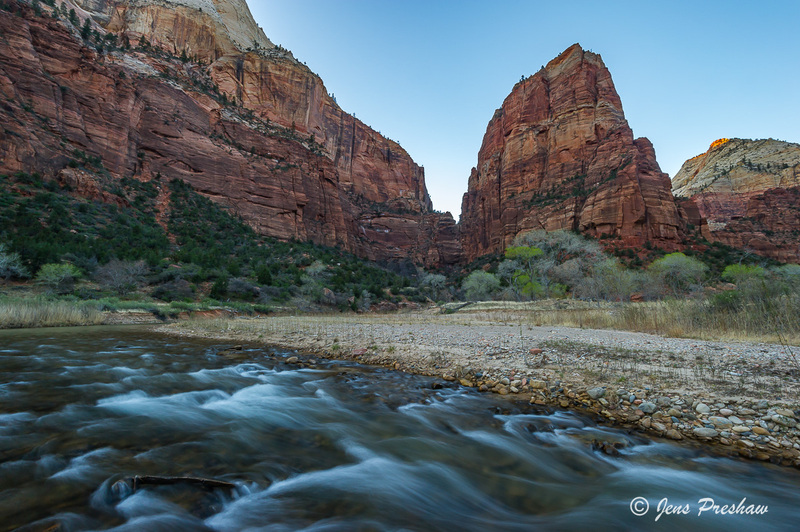 Angels Landing at sunset and Cottonwood trees along the Virgin River. The hike to the top of Angels Landing is very popular and challenging. The last half mile of the trail to the top involves a climb with carved-out footfalls and anchor-bolted chains. At times it's only 5 feet wide with a 1,000 foot drop to the canyon floor on either side.